"A sigil stone is a specimen of pre-Mythic quasi-crystalline morpholith that has been transformed into an extra-dimensional artifact through the arcane inscription of a Daedric sigil." 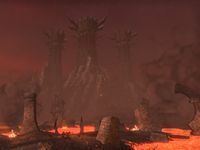 — Camilonwe of Alinor, "Liminal Bridges"
Edrald Estate is located in eastern Rivenspire, south of Fell's Run. 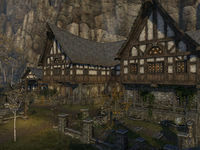 Edrald Estate Objective: Discover what happened to the Edrald family.